But, the actual strenght of this band is the fact that they manage to write the hooks that most pop acts fail to write. When most bands are too busy reinventing wheels for the billionth time this Canadian batch stay focused on the very essence of a great pop tune. They have a rare skill and manage to blend genres with no mercy and they still remain focused on the actual song in the end. Dave “Rave” Ogilvie is, once again, credited for the mixing of the album and the production and mix is flawless. Of course, if you are old school you’d kill me for saying this since the guitars are all compressed to death. But for this brew of goth, disco, post rock, new age etc it sounds just right – end of discussion. Not everything is the same this time around though. The overall sound is a bit more polished electronica and the guitars have generally been put further in the back of the sonic image. However, in certain parts on the track “Down” the guitars are pretty dominant and the production here reminds me of Skinny Puppy’s “The Process” album from the mid nineties. A lot poppier, of course, but still most aggressive vocal parts so far in this song. Reminds me a bit of some of the stuff that 99 Kowalski delivered on the Front 242 “05:22:09:12 OFF” album. 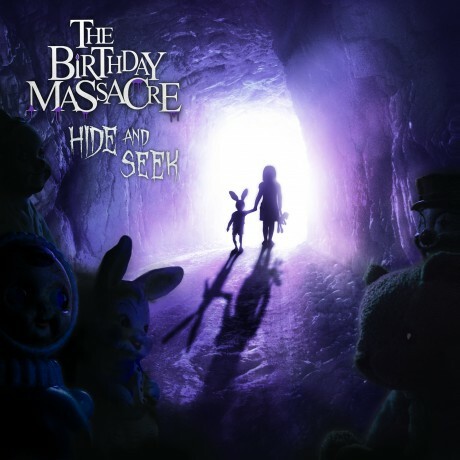 So, dear members of The Birthday Massacre, I must confess that my first impression of “Hide and Seek” did not spark any new feelings. But after this week of dating through my headphones on the bus, each day I am certain I still love you.